After reviewing snacks regularly since 2009, you'd think I'd approach purchases with an informed eye. There is one thing which I don't do, and I really should, and that is look at the ingredients list before I buy. 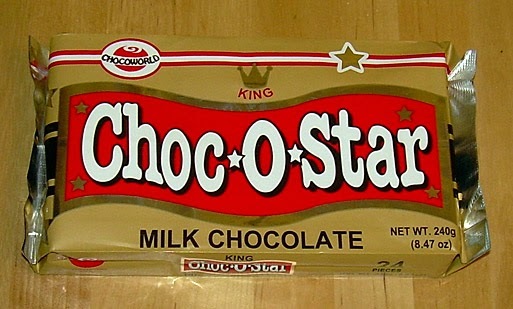 When I saw this at an Asian market, I looked at the name only and expected this was full of, well, chocolate. It was only after I got home and opened up the package that I looked to the ingredients list to understand what I had before me. 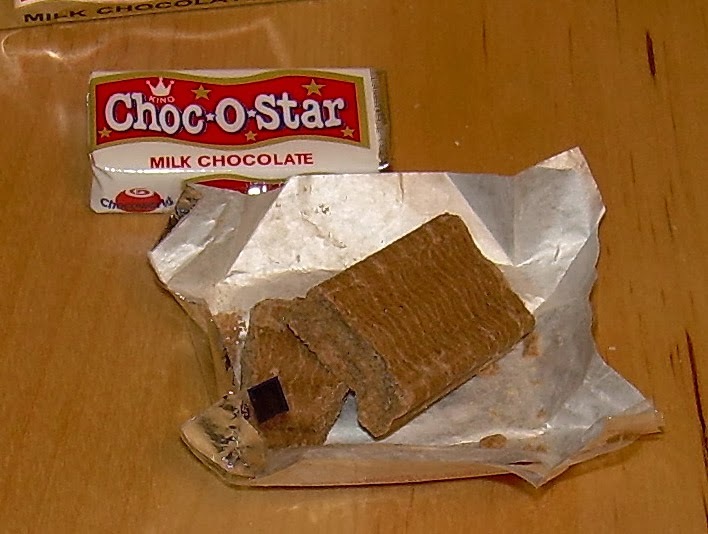 What I had was a bunch of little individually wrapped packages of very crumbly brown stuff. It smelled like chocolate, but the appearance was quite peculiar. The ingredients list reads: sugar, peanuts, milk powder, cocoa powder, vanilla flavoring. You'll notice that there isn't anything in there that suggests much in the way of fat. This was very cheap for the side - a little over half a pound/240 grams for $1.49. I think it reflects well the notion that sugar is cheap, but cocoa butter is not. This is quite sweet, as would be expected from something which lists sugar first. The peanuts and cocoa do a bit to offset the sugary nature of it, so it is not cloying. However, the purity of the sugar on my teeth made them ache a bit. The picture above shows the candy after opening. I didn't break it. It fell apart in this fashion. The texture made me think about astronaut food like dehydrated ice cream and how you have to provide the moisture to allow the components to dissolve on your tongue and then you can experience the flavors. This has a fairly serviceable peanut and chocolate combination. It's mellow and sweet and pleasant, but not decadent and overwhelmingly flavorful. This was not a bad experience in the least. It was, for lack of a better word, "weird". When you see the words "milk chocolate" on a package, you expect something with a very different texture and a lot more richness. You don't expect something which is like a cake of dried and powdery things, but that is pretty close to what this is. The truth is that I'm glad that I bought this for the experience of something I'm not familiar with. It didn't cost me much, and there is a certain unique enjoyment in allowing the flavor to unfold by letting it rest on my tongue. It forced me to find a new way to enjoy it. On the other hand, I do tend to enjoy the way I have chocolate just fine already and the way in which the sugar in it made my teeth ache means that I won't be having it again. If this has piqued your interest despite my less than glowing review, you can buy it online for a marginally higher price than I paid. Looks really good, shame it was really sugary!